A whistle-trained dog is easier to handle at a distance, in heavy cover, and when the wind is high. 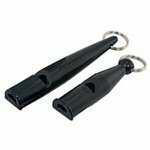 Smaller dog whistles are generally higher pitched than larger whistles. 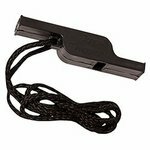 Whistle signals can be added most any time. A dog that knows his verbal commands well will usually pick up whistle signals very quickly. 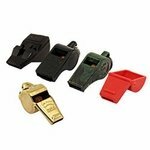 We recommend the Roy Gonia Commander (red) whistle for use with young pups and for short distance training as it is not as loud as the other whistles. 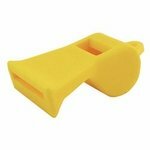 In general, foot hunters, duck hunters, and retriever handlers prefer the small dog training whistles. 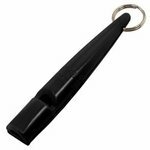 Many horseback handlers prefer the medium and large dog whistles. 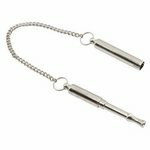 We're going to look at our wide selection of dog whistles. We've got a bunch of them. 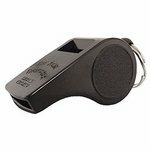 This is one of the whistles that I use. This is the Acme Thunderer. 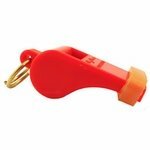 It's a hard plastic whistle. I've used once since I was probably 11 or 12. They are made in the UK. 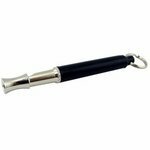 Just one of the best whistles that you can get. It comes in a couple of different sizes. I use a medium. I've also got a small. Just a little bit smaller size. Makes a higher pitched sound. 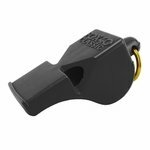 The Fox 40's are a real popular whistle. 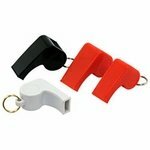 They are originally designed as referee whistles. But what people like about the is it a pea-less whistle. It's not going to freeze up in the field. It comes in two different sizes. We've got the mini, which is a little bit smaller, and then the classic, which is just bigger. Same version and a little different sound. An all metal whistle. We have the nickel plated brass and the polished brass. Real popular with folks. 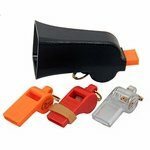 Very loud whistles. 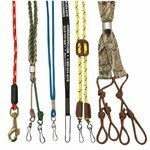 Moving down here just a little bit, we've got SportDOG whistles. They come in a couple different styles. 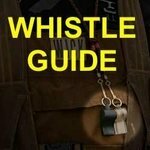 The mega whistle. 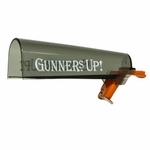 Basically, this is a megaphone that goes around one of the whistles. 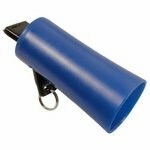 The idea behind the mega whistles is that it pushes the sound away from your ears and will carry further distances. Real popular among the retriever crowd. Similar version of that, the Dallesasse whistles. Same idea. 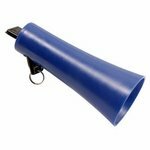 It's a megaphone style whistle. They carry a long distance.